Potassium fluoride is a white crystalline powder which is used in manufacturing fluorinated aromatic compounds, organic compounds, pesticides and insecticides. It is also used in soldering flux, etching Glass and other industrial applications. We are one of the trusted Potassium Fluoride manufacturer and supplier. Purity as KF 99.00 Min. 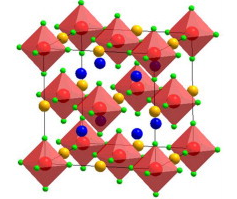 Elpasolite structure crystals come with useful scintillation properties and are used as a chemical auxiliary agent. These also find use in aluminum alloy and are available in white/light grey powder form with slight solubility in water. Releasing hydrogen fluoride when reacted with water, it is suitable for use in glass and ceramic industry, pesticide, polyethylene bag packaging, fluxing agent for aluminum and aluminum alloy and other areas. 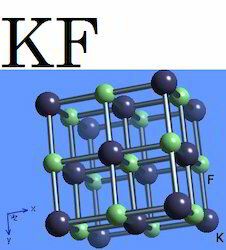 Looking for Potassium Fluoride ?